One of the benefits of being in academe is the opportunity to travel to interesting and new places for various academic events. I had the pleasure of making a quick trip to Boise, Idaho, to participate in a conference on equality in employment at the University of Idaho College of Law. The conference itself was excellent, and it gave me a chance to see something of this beautiful, compact city. The unexpected bonus was the delicious food. The University of Idaho treated us to a couple of wonderful dinners at local restaurants, including a first-rate steak at a place called The BrickYard. In addition, I met up with long-time friends and colleagues Gary and Ruth Namie, founders of the Workplace Bullying Institute, for breakfast on Saturday before catching my afternoon return flight to Boston. They took me to their favorite breakfast place, the Original Pancake House, famous for its apple pancakes that take 45 minutes to cook. I managed to polish off my plate pretty quickly. 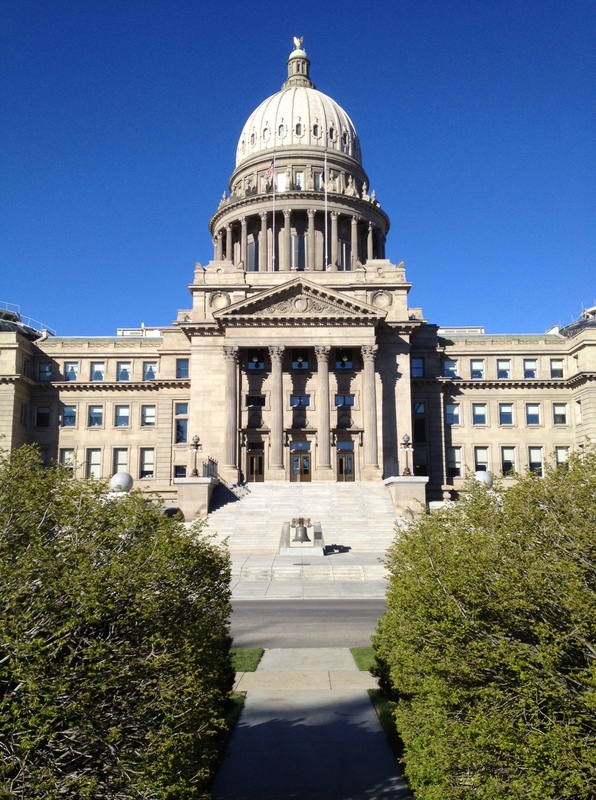 In case you want photographic proof that I saw more of Boise than its eateries and a university conference room, here’s a shot of the beautiful State Capitol building, located in the city’s downtown. 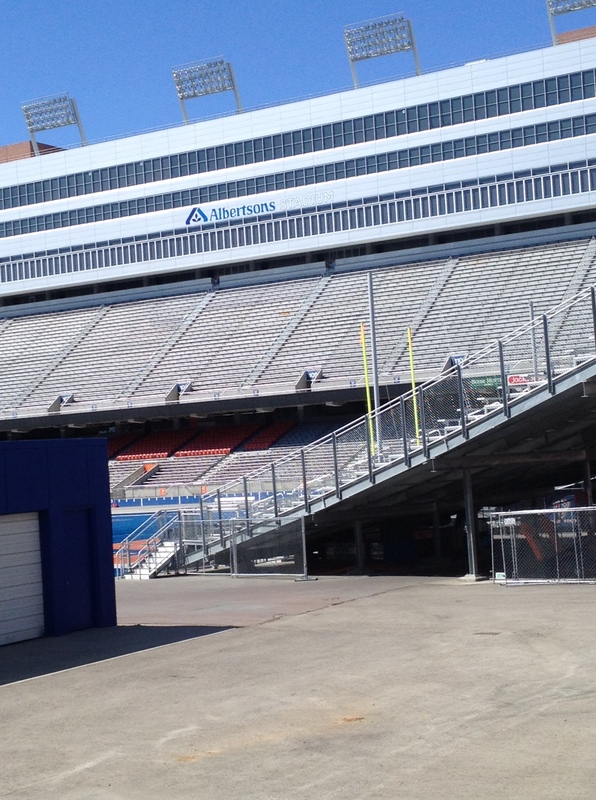 And although you can’t see much of it, here is Boise State University’s football stadium, featuring its famous blue field. ARGH! There was an Original Pancake House that we went to often in Buffalo–I miss it so! 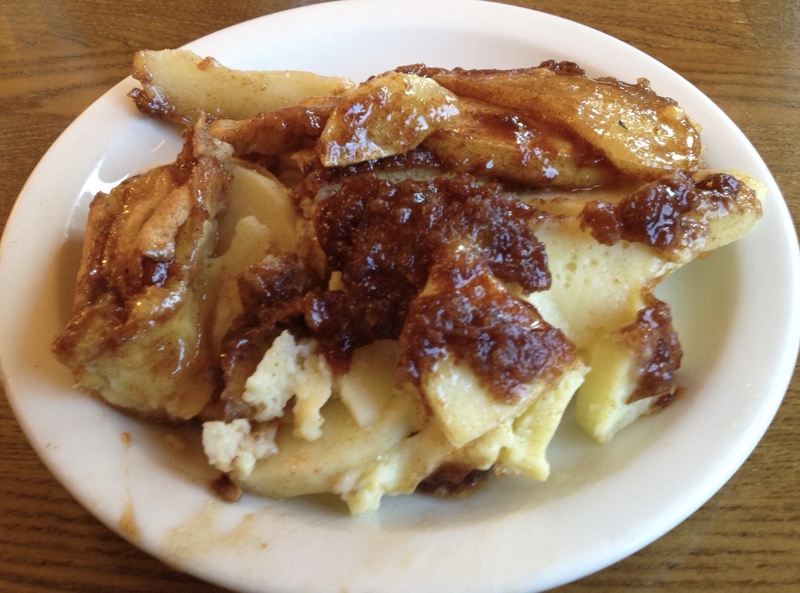 Those apple pancakes are the most unbelievable breakfast ever!